The Xbox 360 was officially unveiled on MTV on May 12, 2005, with detailed launch and game information divulged later that month at the Electronic Entertainment Expo (E3). The console sold out completely upon release in all regions except in Japan. Several major features of the Xbox 360 are its integrated Xbox Live service that allows players to compete online, download arcade games, game demos, trailers, TV shows, music and movies and its Windows Media Center multimedia capabilities. The Xbox 360 also offers region specific access to third-party media streaming services such as Netflix and ESPN in the US or Sky Go in the UK. At their E3 presentation on June 14, 2010, Microsoft announced a redesigned Xbox 360 that would ship on the same day. The redesigned console is slimmer than the previous Xbox 360 model and features integrated 802.11 b/g/n Wi-Fi, TOSLINK S/PDIF optical audio output, 5 USB 2.0 ports (compared to the 3 from older versions) and a special AUX port.Older models of the Xbox 360 have since been discontinued. The first new console to be released features a 250 GB hard drive, while a later, less expensive SKU features 4 GB internal storage. With the announcement of the Xbox 360 S, Microsoft have said that they believe that the console is only mid-way through its life-cycle and will continue through 2015. However, unnamed sources have claimed that Microsoft's next video game console is being slated for release as early as the 2013 holiday season. Development of the system has also been implied by updates Microsoft employees have made to their resumes, which state that they were working on the next Xbox console. Apex Web Gaming - Lists online and downloadable games in categories that include pets, role playing, strategy, action/arcade, and sports. Includes rankings, message boards, and news. Game2K.com - Online game directory with links to browser-based and downloadable games. Also includes fun sites, game tools, gaming networks, demo and beta games. Internet Gaming - A resource for internet gaming from About.com. JARS Games - Categorized listings of online and downloadable Java games. Includes descriptions and ratings. Multiplayer Online Games Directory - Features a categorized listing of online multiplayer games, daily news, reviews, interviews, reader submissions, message boards, and polls. Play-Free-Online-Games.com - Categorized directory of free realtime multiplayer online games. Includes description and screenshot of each game. The Online Brain Games Blog - Searches and reviews online games that help keep your mind sharp. The Online Gaming Network - Directory of multiplayer games including action, pets, RPG, sports, and strategy. Includes rankings, player ratings and comments. Tolkien Computer Games - A collection of games with related support pages. Unlimited Web Games - Categorized directory of online games including description and ratings. ExoGama - Computer and video gaming directory. Includes search, visitor comments, and ratings. Game Sites 200 - Directory of gaming sites organized by game type and ranked by popularity. Gamers.com - Portal providing resources, links, reviews, and communities on computer games, video games, and 'un-plugged' games. Gamez.com - Provider of game search engine resources. Search for game sites, demos, cheats, and shareware. Kefkefkef.com - Searchable directory of group and team games including instructions, age group, and time required. Top 100 Game Sites - Collection of game, freeware, and fun sites ranked by popularity. Arcade Game Central - Links to arcade and action games, with reviews featuring a database of titles. Astatix Games - Fresh casual games and remakes of classic games, categorized and sorted by popularity. Free Games.com.au - Categorized directory of free games available on the internet. Includes reviews, ratings, and search function. Game Score - PC and console cheats, demos, forums, news, patches and reviews. GameFilesLand - Software download archive organized by keyword. 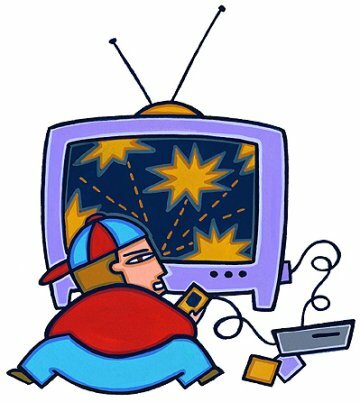 Great Web Games - Provides links to free games available on the internet. Search for and play hundreds of free online games. Jeanne's Great Game Links - Features links to upcoming releases, new and old games for Windows and MS-DOS. PBMCube - Offers genre news, games index, and downloads. Sorted by genre. Adventure Theme Park [ ] - Features original games, puzzles, music, and interactive fun. Most activities require limited reading. Amazeworld [ ] - Collection of interactive web mazes, stories where your choices affect the outcome. Apple Corps [ ] - Design different faces on an apple and other fruits and veggies using ears, noses, hats, and mouths. Beanotown [ ] - Features games, cartoon graphics, prize-awards for high scorers, and factual information about The Beano. Requires registration and parental permission to record high scores and win prizes. Calypso Land [ ] - Site for Calypso fruit drink. Cartoon characters lead you through various zones. Download screensavers and sounds, even win a mountain bike. Candystand [ ] - Large collection of Shockwave and Flash games and contests. Online sports games, arcade games, puzzle games, card games and multiplayer games. Charlotte Bear's Magical Kingdom [ ] - Play games, learn to do magic tricks, make toys and crafts, or stop by the wishing well and see the genie. Cone Factory [ ] - Offers games, contests and opportunities to win different prizes. Includes a game related to ice cream flavors. Cybercones.com [ ] - Create a virtual ice cream cone or sundae, and e-mail it to a friend. Cyberkids [ ] - Art, contests, a learning center, shopping, fun and games. EastEnders [ ] - Quizzes and games related to the television series. Empire Free Games [ ] - Includes word searches, activities, and games such as "Boulder Dash" and "Story Teller". Etch-A-Sketch: Fun and Games [ ] - Games based on shapes, numbers, letters, and colors. Java and a printer needed for some areas. FunRanch [ ] - A fun place for kids and parents to play free interactive games. Gamequarium [ ] - Game links for K-6 students arranged in more than 30 categories. Internet Pizza Server [ ] - A virtual pizza server with lots of unusual toppings. It's Your Bic [ ] - Provides puzzles, stories, e-cards and games. J Games for Kids [ ] - Includes concentration and association games to test the player's memory. JayZeeBear's Green Forest [ ] - Come visit the Green Forest for lots of fun learning games. Kaboose Online Games [ ] - All kinds of online games for kids. Some work with any browser, some use Java, Shockwave, Cocoa, or Roadster. Everything from arcade games and puzzlers to multiplayer games. Kam's Online Games [ ] - Offers free Mahjongg Solitaire games with 93 layouts, sorted by difficulty. KidSpirit [ ] - Play pong, feed the pig, solitaire, or penguin plunge. KiddoNet [ ] - Site offering free net games, e mail, and a home page composer. Kids Edge [ ] - Contains colorful shockwave games and activities for children sorted by age group. Learning Planet Kids Page [ ] - Includes an assortment of educational games suitable for kids from preschool to grade 6. LearningPlanet.com [ ] - Educational online games for kids preschool through sixth grade. MegaKids [ ] - Three educational games for upper elementary students. Museum of Web Art [ ] - The Kids Wing, featuring Java-based activities, is supervised by Dot, the Fun Activities Director. Nabisco World [ ] - Offers online games in a virtual amusement park. Includes Golf, Dunk N'Slam, Team Racing, Flip the Frog, and other Shockwave games. Nick.com [ ] - Offers animated games with favorite Nickelodeon characters such as CatDog, Rugrats, Angry Beavers, and Hey Arnold. Includes a multi-player game, screensavers, and downloads. Official Bob the Builder [ ] - Offers online entertainment based on the same pre-school TV learning programme. Includes Flash games playable from the browser. Orisinal [ ] - Collection of Flash games, designed by Ferry Halim. Pauly's Games [ ] - Features spooky online interactive games and activities with monsters and ghosts for children 3 and up. Pauly's Playhouse [ ] - Game packed site features original online games and activities for children 3 and up. All games and activities are fully interactive. Flash player required. Play Kids' Games [ ] - Learning games online with alphabet, math, logic and coloring. Polar Pairs [ ] - Java based memory matching game with educational information on each arctic animal. Pop-Tarts [ ] - Thousands of original questions, this site engages the "studio audience" in nostalgic interactive entertainment. Postopia [ ] - Offers contests, games of skill, and online music mixers. Prongo.com for Kids [ ] - Collection of fun educational games. Requires Macromedia Flash plug-in. Real Magic Online [ ] - Tricks you can do on your computer. Redcliffe Challenge [ ] - Redcliffe Challenge is an interactive game and web project which has been designed and built by a team of students at St Mary's Redcliffe School in Bristol. SESS.NET Kids Games [ ] - Action with Digininja and challenging games to play online. Requires Flash 4 plug-in. Sheppard's Software [ ] - Flash educational web games. Topics include vocabulary and geography. Sky Breeze Games [ ] - Play dress up games with Sky Breeze and her friends. Solitaire Mahjongg [ ] - A classic Chinese tile-matching game. Includes hints, additional tilesets and layouts. Offers the option of traditional Chinese tiles, or tiles marked like the cards in a standard deck of 52 cards. Stellar Crisis Room [ ] - All about the free, interactive web war/strategy game. Includes FAQ, beginner's tutorial, links to active servers, archive of past game maps, build calculators, history of the game, and news about players and servers. Switcheroo Zoo [ ] - Make new creatures at this surrealistic virtual zoo, by switching the animals' heads, legs and tails. Over 6500 possible combinations. Teen Second Life: A Virtual World for Teens [ ] - An online society within a 3D world, where users can create, learn new skills, start a business, and meet new people. The Trivia Portal [ ] - Enter trivia contests, join the fun trivia community, challenge other players, laugh at jokes, send web cards, meet new penpals, enjoy online games, or read daily comic strips. The Webblies [ ] - Offers free Flash games for kids. The games can be selected using a virtual remote control. The Youth Online Club - Game Zone [ ] - Online games for kids. Seek-a-word, tic-tac-toe, spot the differences, concentration, and trivia. Tonythetiger.com - Team Tiger [ ] - Team Tiger includes tiger tracker journal, megabyte mysteries and secret assignments. Willy Wonka Candy Factory [ ] - Full of fun games, activities, screen savers, and other cool Wonkanized stuff. Some games require Shockwave. Zoopz.com [ ] - Creative arts and digital arcade games created especially for kids by Meyers Labs.